Raquel is a fan of Spain in case you hadn't noticed! 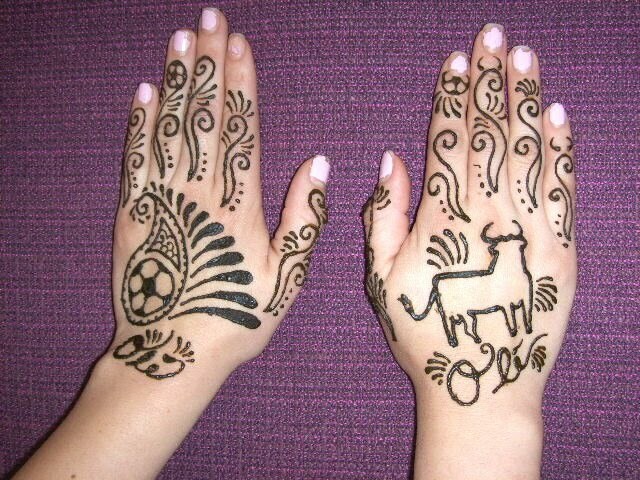 She wanted to showcase her passion in henna so we did a fabulous World Cup inspired design. What do you want to show off in your henna? Note: The top picture is the mature henna stain after it has cured for a couple of days. The bottom picture is of the henna paste still on the skin, which is why it appears to be black. Real henna is NEVER black.